Poppa and Hunter at the horse races in Ruidoso. Mr. H didn't really care too much! This has to be one of my favorite pictures of my boys ever! Amazing! I set him down for a second while I went to the bathroom. This is how I found him. Such a sleepy head! Again, he's sleeping. After church at Lujan's with our friends. He fell dead asleep in his high chair. That was a first for our normally super busy kiddo! No real explanation for this one. Poppa put him in the back of his truck. I just think it's funny! Hope you enjoyed my random pics as much as I have. I just thought I would share and catch you up on my sweet boy's 8th month of life. I can't believe he will be 9 months tomorrow! Where has the time gone?! 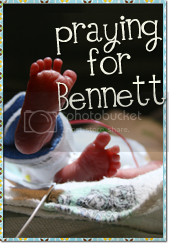 Thank you for your concern and prayers for our little guy. He is feeling much better. these are awesome. I can't believe he fell asleep in his highchair. If that ever happens with Jorja I think I would pass out from shock - homegirl wouldn't fall asleep when food is at stake if we paid her a million dollars - wait... if we gave her a million toys! ha! He IS growing into such a CUTE BIG boy and I'm in disbelief he's 9 months old. I've got to see him soon. ANY plans to come out this way soon??? that IS a great picture of your boys! i just love getting pictures like that!